Whether you grew up in the 1970s or simply love the styles from the decade, these 10 forgotten, far out fashion trends will leave you feeling nostalgic! 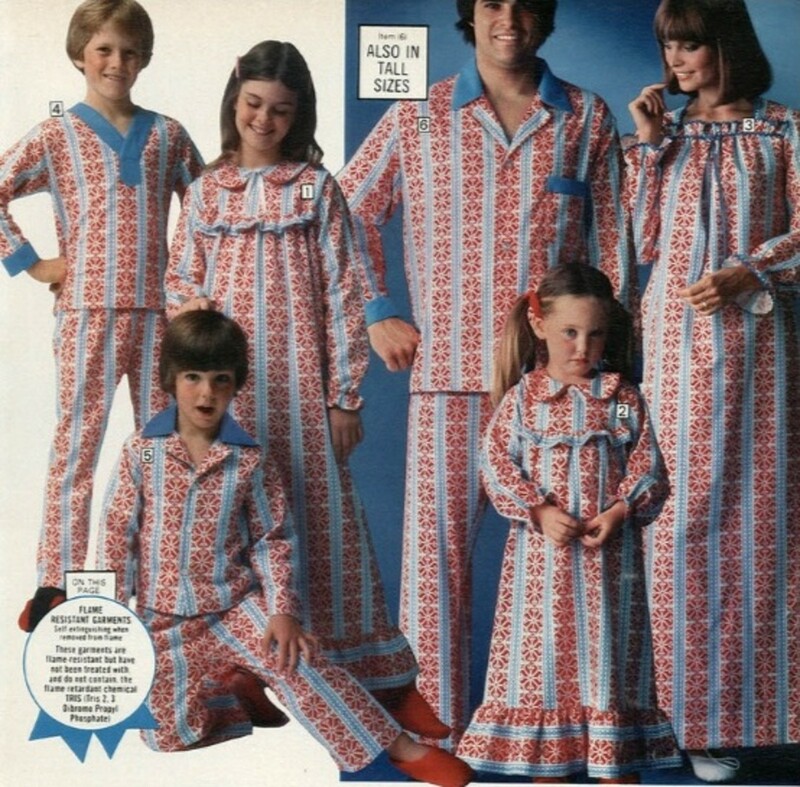 Nothing says family togetherness more than matching pajamas for mom, dad, and the kids. 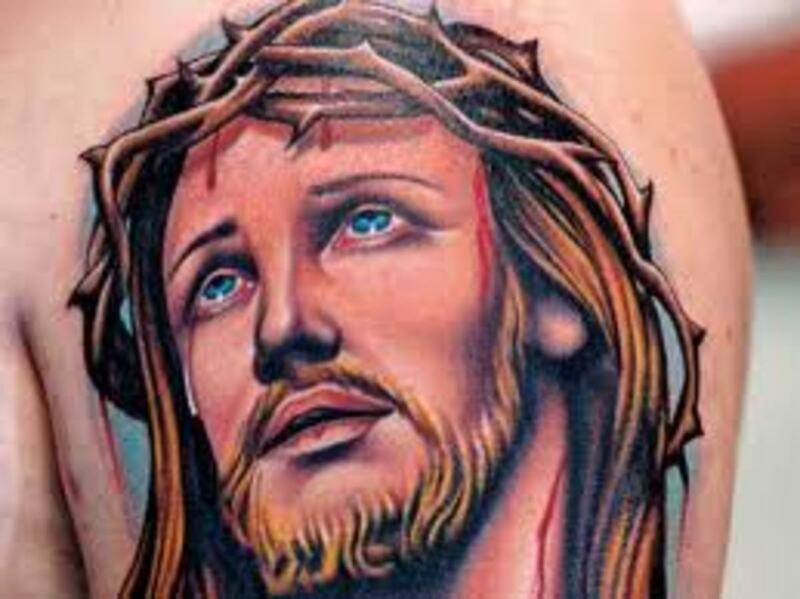 Why did this ever have to go out of style? 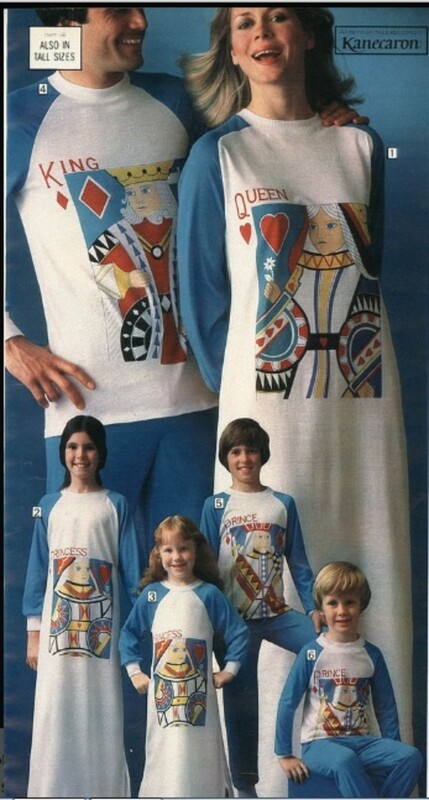 Whether it was a loud paisley print or deck-of cards design, these pajamas let you know where you belonged. 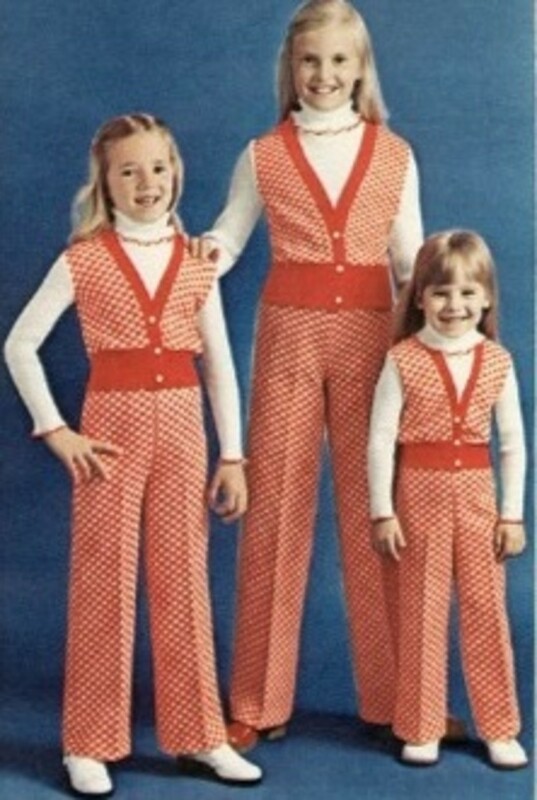 This fashion statement was popular into the early 80s. 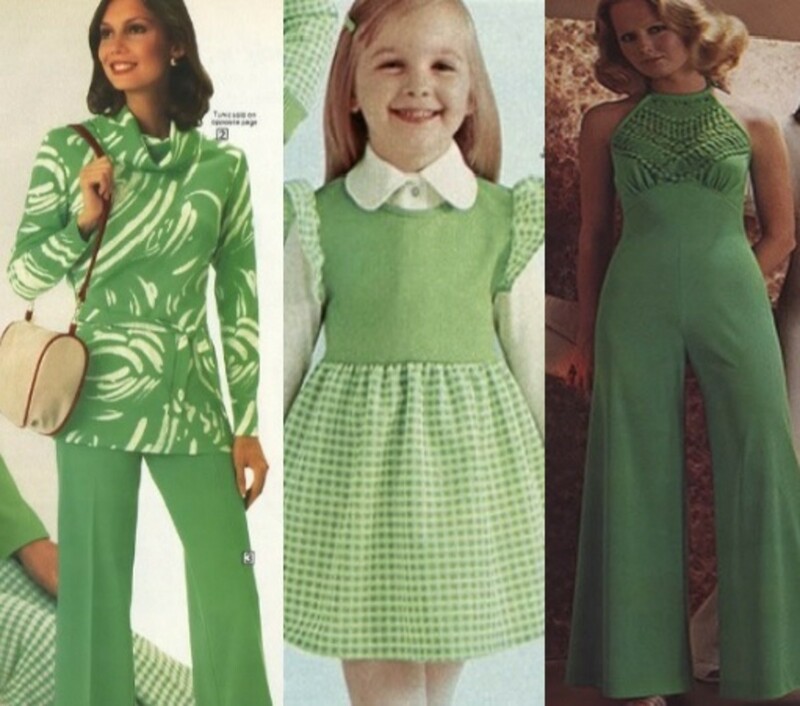 In the 1970s, green clothes were everywhere: in 9 to 5 styles, jumpers for girls, disco wear, and even cozy pajamas. If you love the color green this was definitely the decade for you. Mint green and apple green were the most popular shades. They were often mixed with shades of yellow for an eye-catching combination. 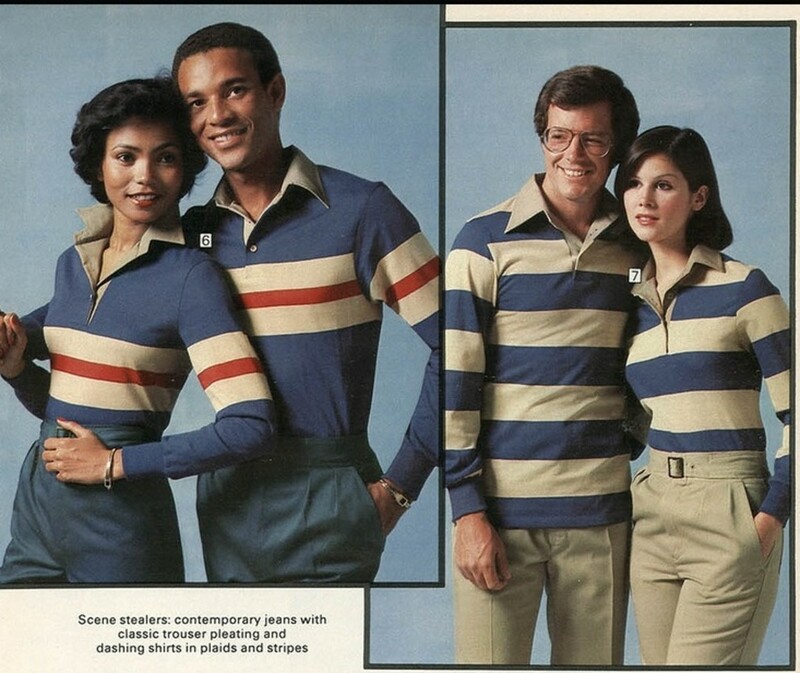 The 70s could also be called the decade of love, judging by these coordinating polo, flannel, and blouse his and her tops. 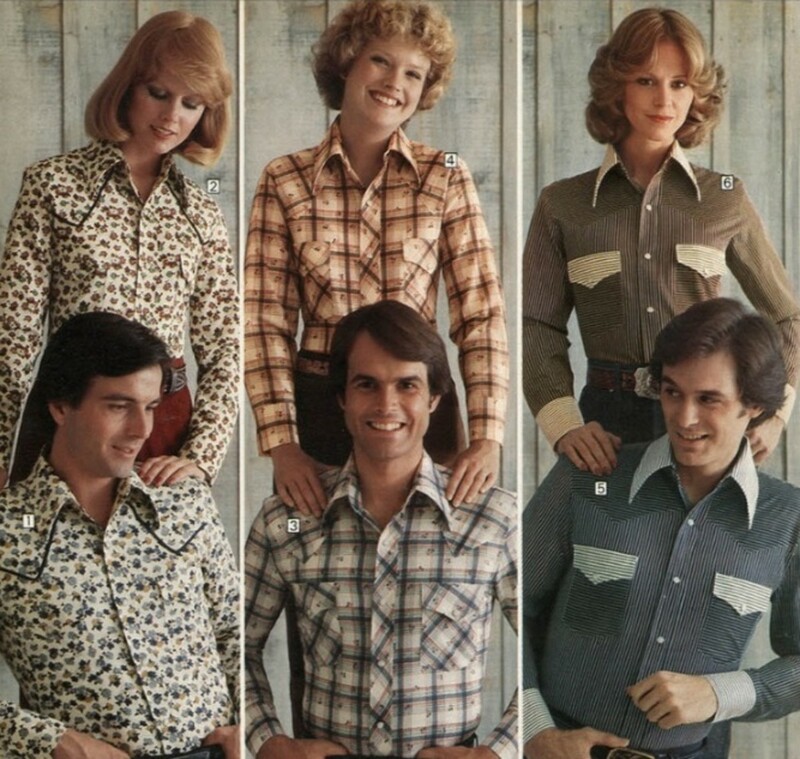 Everyone could tell who your boyfriend or girlfriend was when you wore these matching styles! 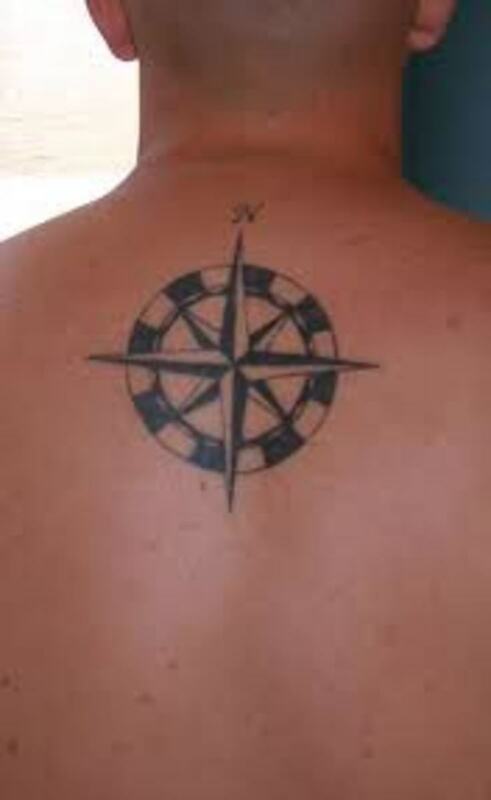 This fashion statement was most popular with married couples. 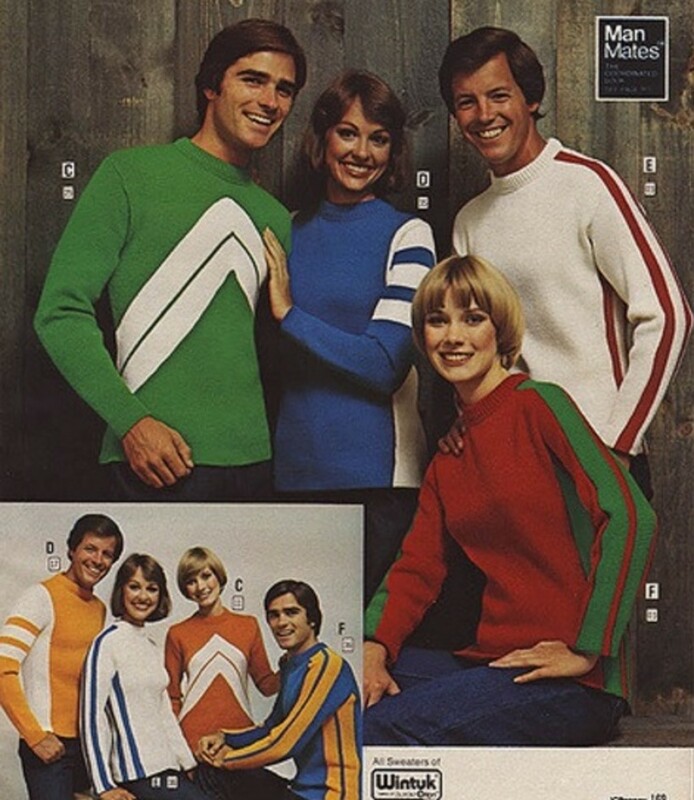 If you wanted to look like you stepped out of an early ATARI video game advertisement, these bold stripes and colors were the name of the game. The look was popular on winter sweaters, polos, and jogging suits. 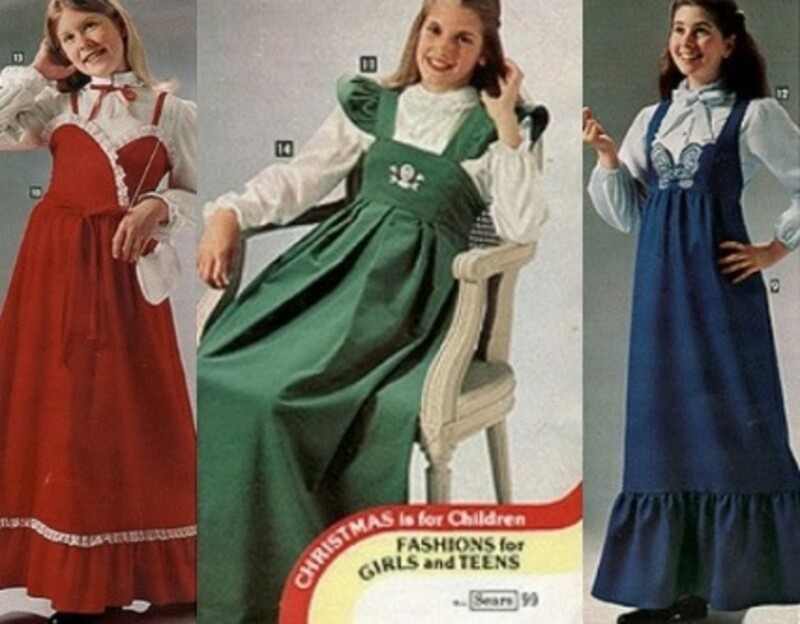 Although the 70s were known for breaking the decorum of conservative fashion, it was also the decade of Holly Hobbie dolls and the Little House on the Prairie TV show. These two influences brought quilt and patchwork-inspired accents to fashion. 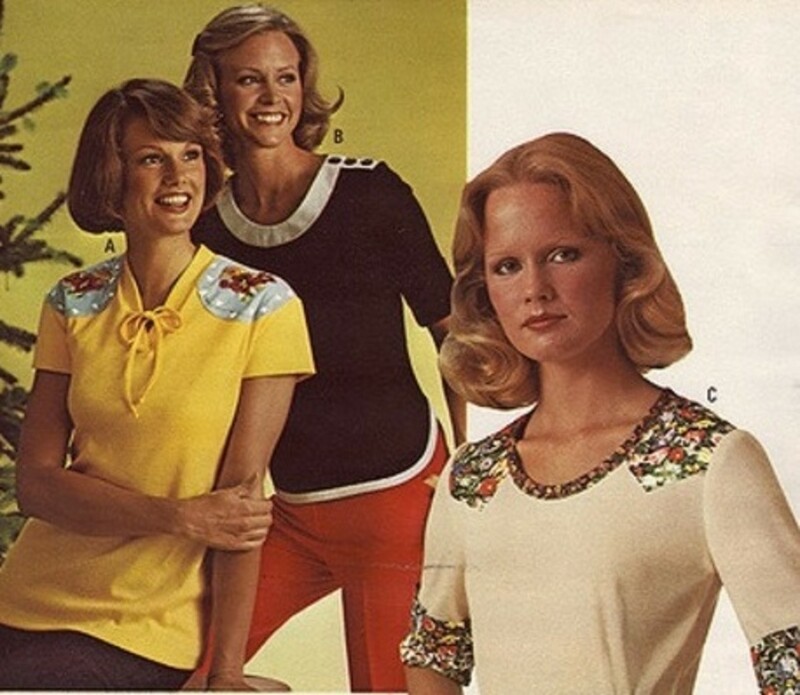 A subtle way to be in style was with these shirts with floral shoulder patches. 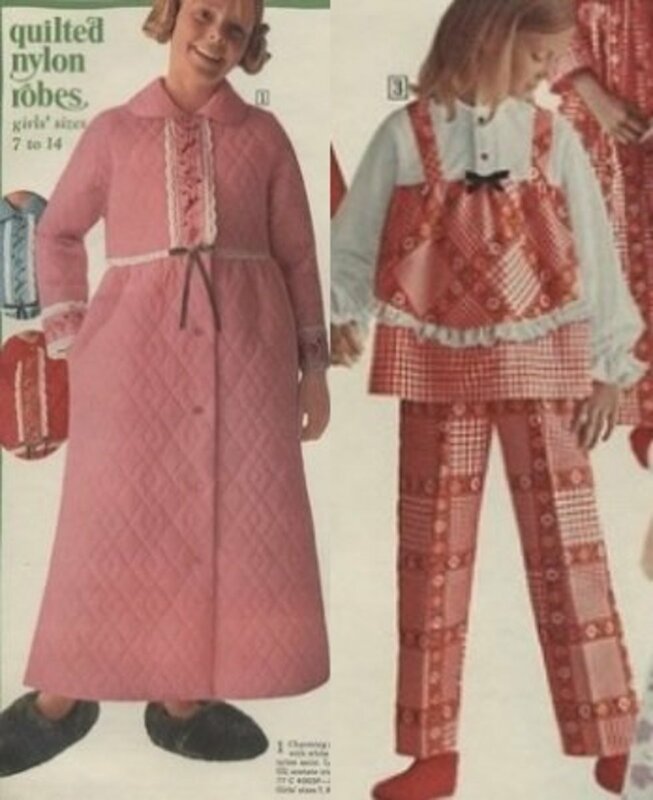 Cozy quilt-inspired styles also made their way into girls' pajamas with larger-than necessary features. Thick waffling and oversized tunics made mom sure that you looked much bigger than your actual size. Although it was surely comfortable sleepwear, it was not well-designed. 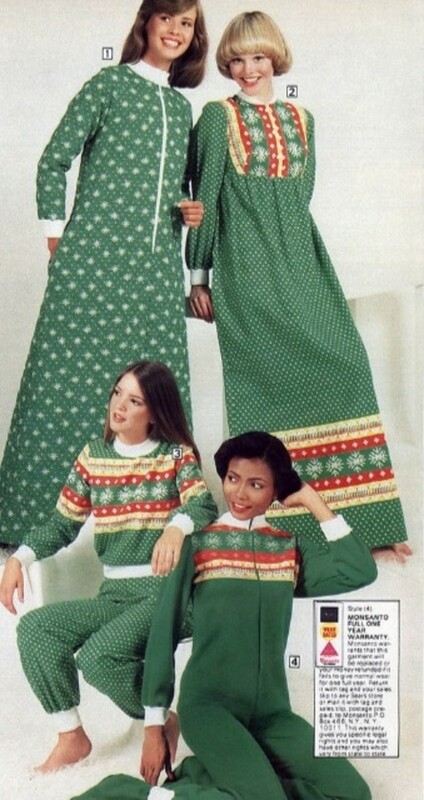 The quilted sleeper robe was also a popular style with adult women for a short time. The 1970s was a decade that still maintained some inspiration from Victorian grandmothers, with these floor-length, feminine dresses, complete with conservative blouses. 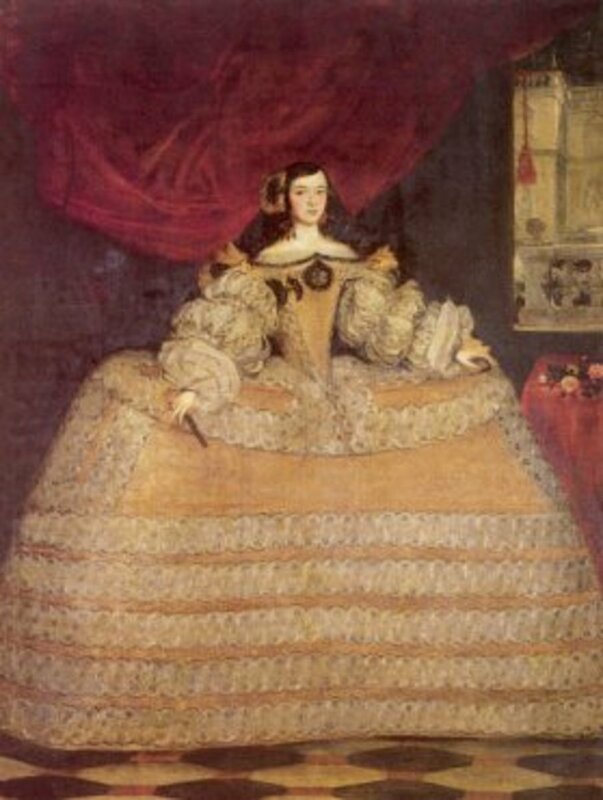 These dresses were available in sizes for toddlers to adult women. Accompanying accents were often collar bows, lace, and embroidery. No fashion makes a man or woman feel more secure and pampered than the adult onesie. 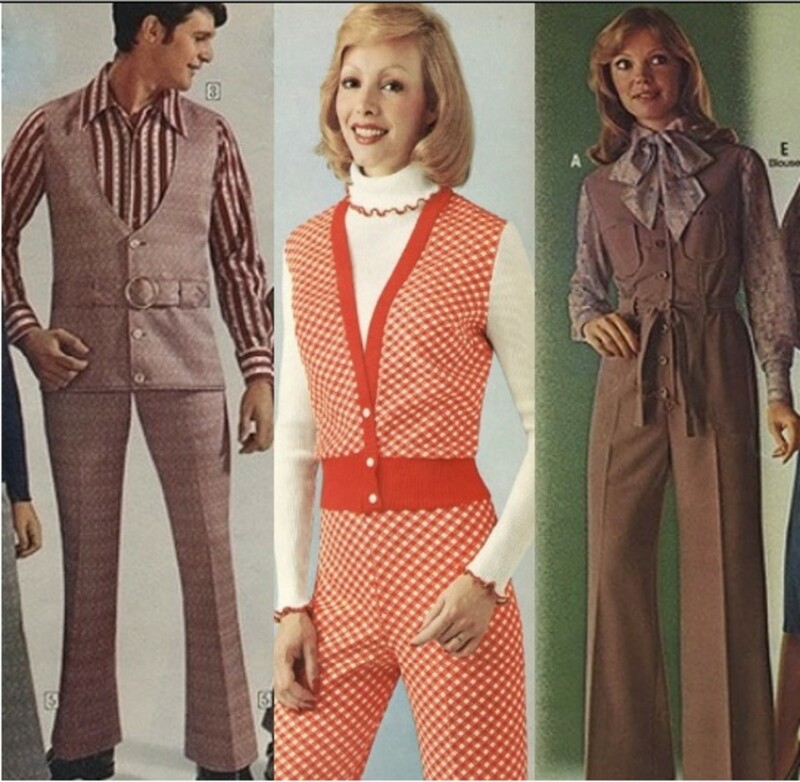 And the 70s was THE decade for the adult onesie. Some of these styles also came complete with attached footies. 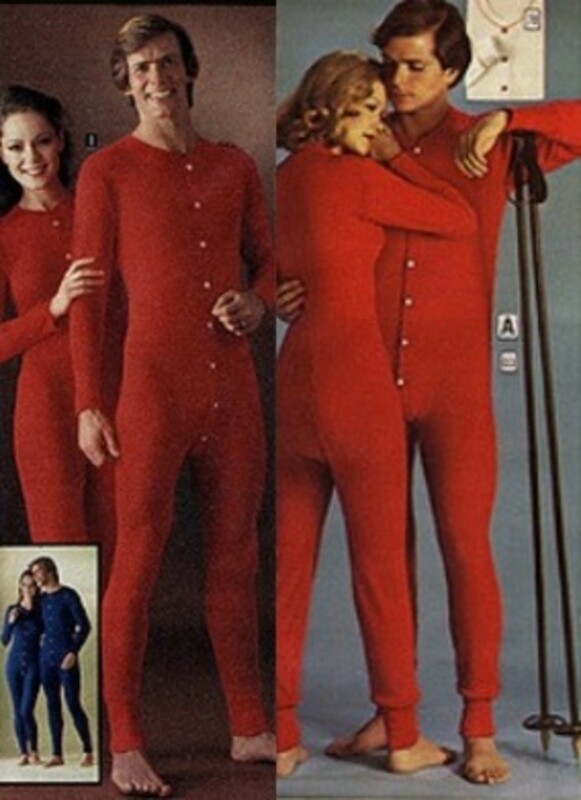 Also called union suits or long underwear, they kept many a man and woman warm all winter long. Worn to bed, under ski wear, or in manual labor jobs under heavy overalls, these onesies were both useful and comfortable. Not surprisingly, they also made these to match for couples! Pairing boots with culottes was a style especially popular in teens/junior clothing, and they were worn together generally in the autumn or winter, after summer sandals were traded for boots. This style could be worn for play, school, or the office, depending upon the fabric, boot material, and top you paired for the look. 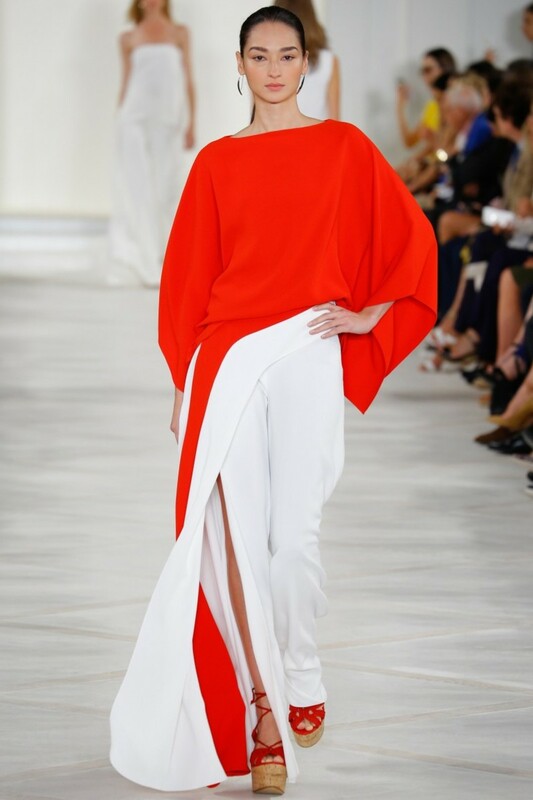 The only complaint about this style was the constant rubbing of the boot top and culotte bottom against the bare leg. Chances are the only people you see wearing vest suits these days are senior citizens, because many of them simply kept these suits from the 70s in their closets all these years. 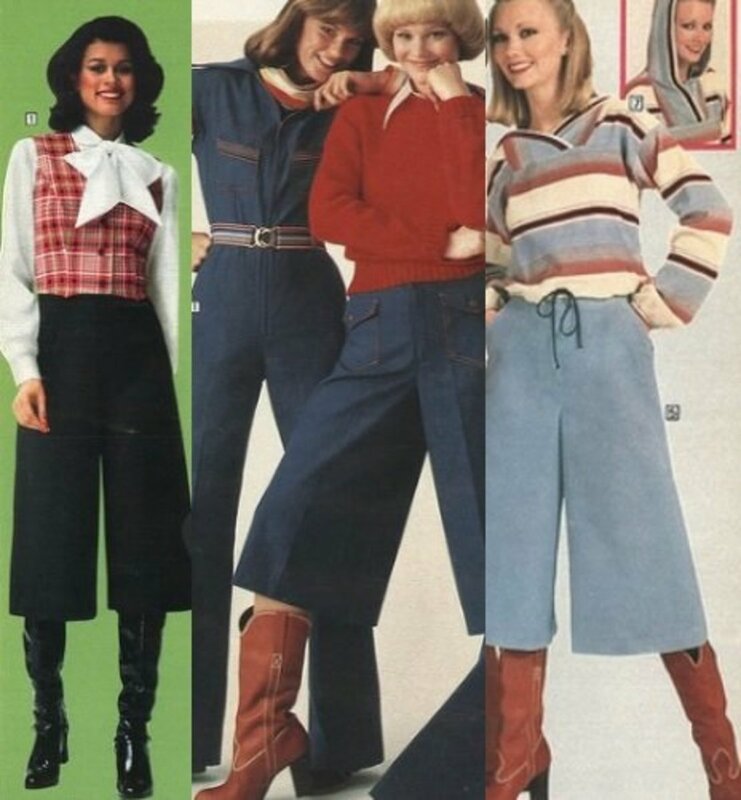 While they aren't in style now, this fashion trend was on-point back in the day, and were common for men, women, and kids. Common looks included polka-dots, stripes, and bright colors. 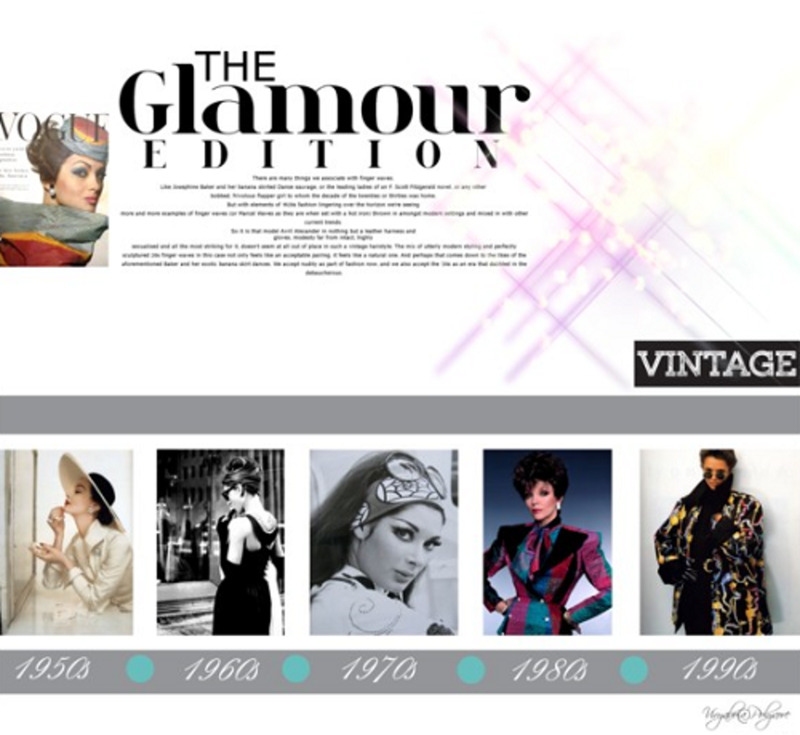 It was so popular that the look can be found in catalogs from the very beginning of the decade to the very end. This is one look that should stay in the 70s, however! Which far-out 70s style do you most wish would make a comeback?